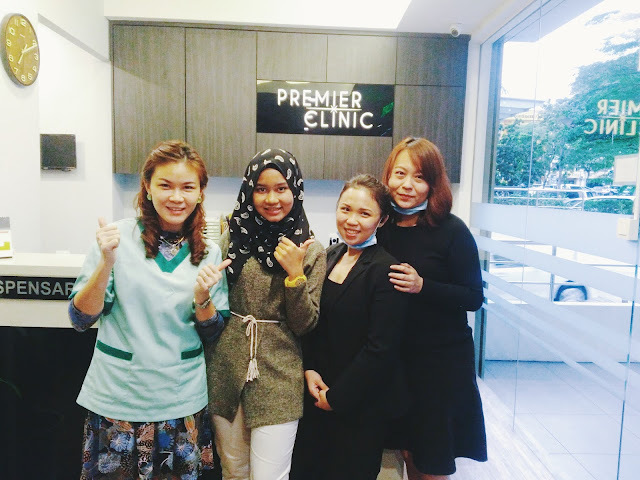 I would like to tell you my aesthetic story at Premier Clinic Puchong Branch which they invited me to have a facial treatment at their clinic and I chose to do laser for my skin and lips filler. I'll be reviewing all the moments I have encountered with fully details. The doctor who was in charge to do my facial treatment named Dr. Michelle Lai oh yaa click here if you want to know more about their doctors. During the consultation, I'll get a brief by Dr Lai about the treatment which included types, functions, techniques, side effects, costs and how to care. As per mentioned, I have selected dermal filler and carbon laser for that day. My face need to be cleaned first from make up and dirt. After cleansing, they were using Numbing Cream (macam bius) that act to reduce the immediate feeling of pain and produce numbness. It will block the pain signal sent by the nerve endings on the skin so you will feel less pain macam tu. Carbon Laser: before I undergo a carbon laser, my face need to apply carbon cream (black colour). During the procedure, laser light is shot on the skin and is absorbed by the carbon cream. The thermal effect of laser treatment reduces pore size, reduces inflammatory acne, reduce superficial acne scars, acne marks and stimulates collagen growth. There is no downtime but may experience slight redness temporarily. Let's not forget that Dr Lai also doing subcision on my acne scar because I got two big pores left due to terrible pimples long time ago. Acne, Enlarged Pores, Oily Skin, Fine Lines, Dull Skin. Dermal Filler (lips): I am so fascinated to do dermal filler as I really want to since long time ago and now, my dream came true! I sacrificed my lips! haha. As you can see in the picture above there is a needle up there which it called Cannula Needle. Premier clinic used Juvederm for dermal filler. Juvederm is a famous brand that I've known. It is non-surgical and FDA-approved so that's why I feel secure doing this filler with Juvederm. It is not permanent, only last long for 6 month - 1 year depends on how you maintain. As the hyaluronic acid is natural, the body will eventually break it down and absorb it, so dermal fillers are not a permanent treatment. What is Cannula Needle? and it's different? A cannula has a blunt tip compared to a needle. It has a hole or holes near the end, but at the side of the cannula near the tip, instead of at the very end like needle. A needle sharply penetrates skin and any soft tissue such as fat, muscle, arteries, veins, and nerves. When it penetrates arteries or veins, it causes bleeding and bruising, while a cannula cannot penetrate skin, so the hole must first be made with a needle and the cannula can be inserted into the hole made by the needle. Less painful rather than a normal needle. Here's the team! It took 2 hours and half to finish 2 treatments well that's the way it should be. I will update again about my aesthetic story before and after picture included, will not be in this entry so stay tuned on my blog! Good services by staff members, safe and fast treatment, reasonable price, equipped with modern technology and advance machines, comfortable treatment zone well they got soft instrument music played during the treatment hehe. 1) TTDI Address: 31 Jalan Wan Kadir 2, Taman Tun Dr Ismail, 60000 WP Kuala Lumpur. Free car park: 1 car park lot available for our client right in front of clinic doorstep. Available on a first come first serve basis. Additional car parks: Available at Taman Tun Dr Ismail market right behind the clinic. Only 1 minute walk to our clinic. 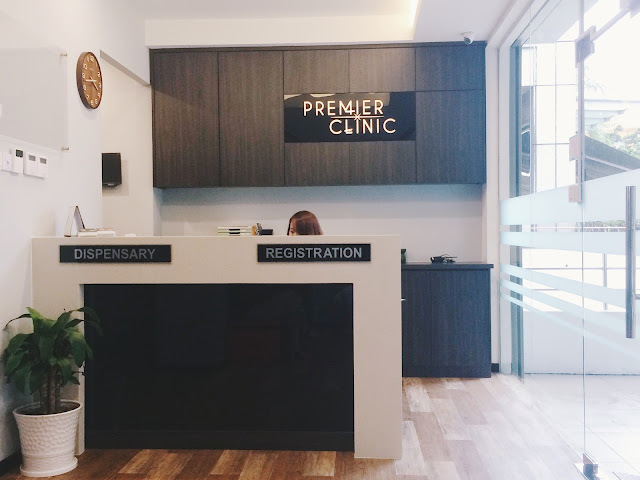 2) Bangsar Address: 40, Jalan Telawi, Bangsar Baru, 59100 WP Kuala Lumpur. Car park: Car parks are available on the road right in front of our clinic. You may also park indoors in Bangsar Village 2 shopping mall, just two minutes walk to the clinic, at RM1.50 per hour. 3) Puchong Address: G-15, IOI Boulevard, Jalan Kenari 4, Bandar Puchong Jaya, 47100 Puchong, Selangor (same row as RHB Bank and Papparich Restaurant). p/s: Did you know that you can also contact them through Whatsapp? Because the day before I want to come over, I just whatsapp their mobile number, yup quick responded. Really carbon peel is a revolutionary laser treatment that is completely painless. Skin specialist uses for people with oily skin, blackheads, enlarged pores, dull skin and acne on the face or body. We have experienced skin specialist team for carbon laser treatment in Jaipur.